According to Techcrunch app usage is strong and growing significantly with shopping style apps leading the way. Did you know that mobile app usage was up by a huge 74% in 2014 and the shopping style apps were one of the top growth categories showing triple digit growth? That's the reason we are writing this post to let users know about the Top 6 Best Free Fashion Apps for smartphone and tablet devices powered by iOS (iPhone, iPad or iPod Touch) and Android mobile operating systems. With more and more purchases being made every year via mobile shopping apps, it certainly stands to reason that mobile fashion apps could be the future of the retail industry in terms of generating new younger customers who have access to funds. However, not all fashion apps are the same and for every great fashion app out there, a badly made fashion app also exists. But fear not! 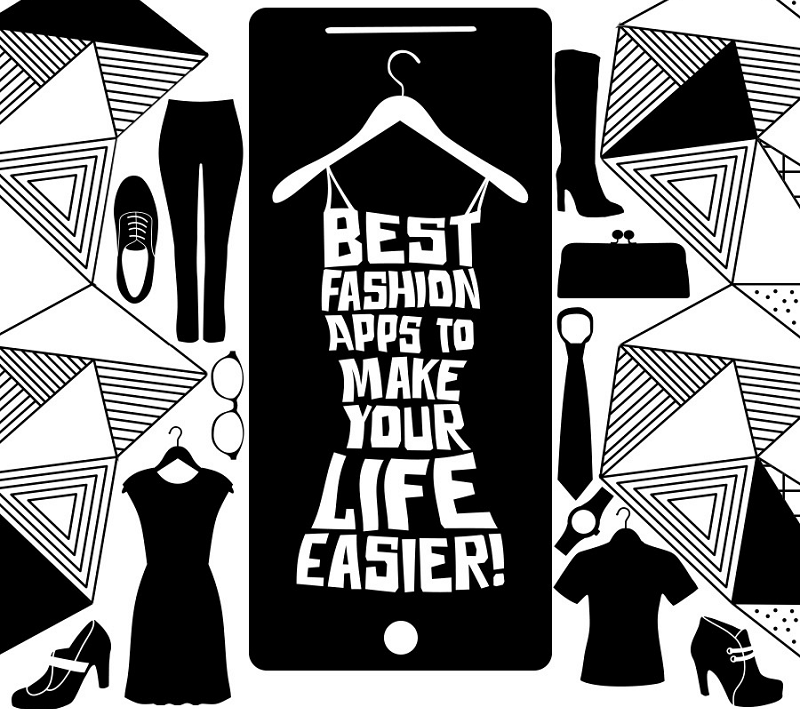 That is why the people over at Evoke.ie put together an infographic illustrating the best fashion apps that actually make your life easier. With shopping apps being so popular to those interested in fashion and other retail items, the top pick for a beautifully made personal shopping app is ‘PS Dept’. While personal shopping as an ‘instore’ option was traditionally seen as only accessible to the wealthy or VIP customer, with an app, it is so much more accessible. ‘PS Dept’ is ideal for iOS users and opens them up to a whole world of luxury retail at their fingertips and a personal shopper does all the work for them. For the more practical side of fashion, the app ‘Cloth’ packs a punch as it shows weather data in real-time so dressing correctly for the cold, the ice and the snow will never be difficult again. Equally, if a sunny spell is on the way, you will be well prepared in your best beachwear. Then there are the people who own mountains of clothes but can never find anything to wear! If this seems like you, then you need to download ‘Closet+’. This app essentially digitises all of your clothes (and accessories). All you have to do is import the images, which might seem like a chore but actually is not. This is due to the app’s fast bulk-import feature. Then all you have to do is to categorise and sub-categorise to your heart’s content! Check out the infographic below which gives the details of some of the best free fashion apps on the market right now. From the platforms they are available on, to any hidden costs, and the features that make them stand out apps; there is certainly an option there for anyone interested in fashion and technology.